BE AFRAID! Top Surgeon in dire warning about coming London Summer crimewave! 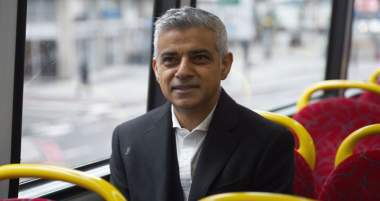 His latest predictions about the summer however are set to send a chill down every Londoners spine and also those across the UK concerned about the nation's capital. Dr Griffiths said: “If it was hot weather right now, it would be carnage. When it gets a few degrees warmer, it’s going to be taxing. It’s going to be difficult. “Every day an ambulance rolls up with a kid who has been stabbed. That can’t be right. We’re not at war. You’re sitting there in a resucitation bay at 7.30 p.m. on a Thursday evening. It’s not even dark but you’ve got four children in your bays and you’re thinking to yourself — this is not what I trained for. Over 60 people have died in London so far this year and the murder rate is now higher than that of New York. Many have blamed this on mass immigration from countries where this kind of crime is common and politically correct policing introduced by Sadiq Khan. Click here to support our campaign against Sadiq Khan and political correctness!